You’re working on your system and suddenly an error comes out or worse, your computer completely fails to start. The reason behind such problems could be malware/virus attack, file system corruption, system crashes etc. which often leaves your system in unbootable or severely damaged state. Such problems are critical and require you to invest huge time & effort in getting those errors fixed. Such problems could put you at huge risks as you may permanently lose your important files such as official documents, media file collections etc. There are tools that can clone or image the entire hard drive, containing running copies of Windows, installed application and drives and allows user to bring back your system to the perfectly running state as it previously do. 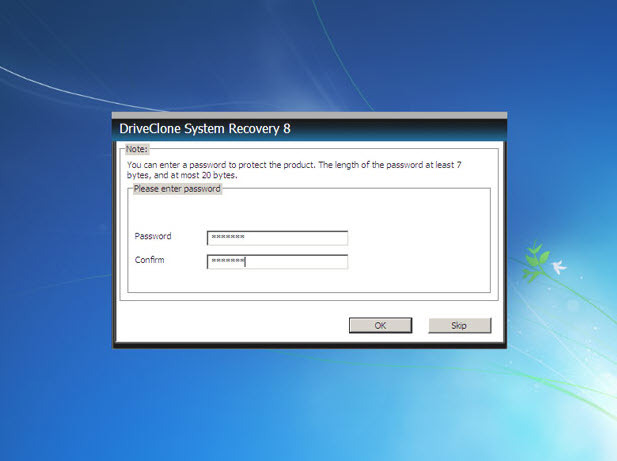 DriveClone System Recovery from FARSTONE is designed to easily address almost any kind of crucial PC problems in easy and effective manner. It can image or clone an entire hard drive with all the bootable copy of Windows, installed applications, drivers, settings etc. and makes a hidden recovery partition concurrently. 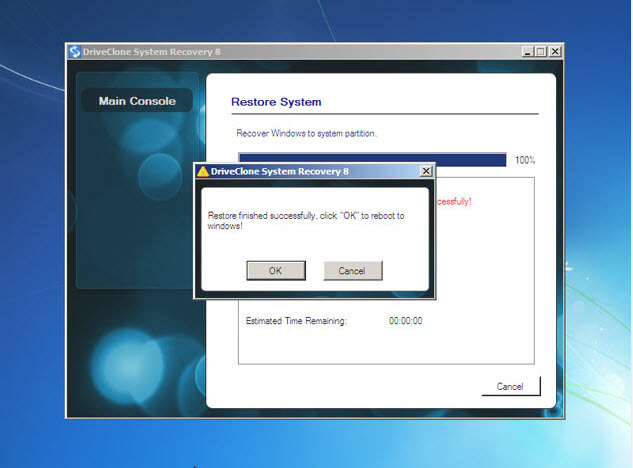 Hidden recovery partition will be used to restore everything back to its factory settings, all you need is to press a single hot key (recovery button varies as per your manufacturer). #1. Make your Windows ready and ensure yourself that you’ve successfully copied all of important documents, files & folders to include it in the clone or image copy. #2. 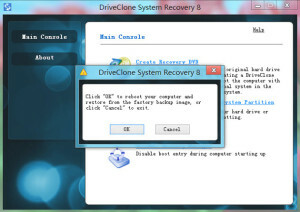 Install DriveClone system recovery on the target system and reboot it when the confirmation dialog appears. #3. 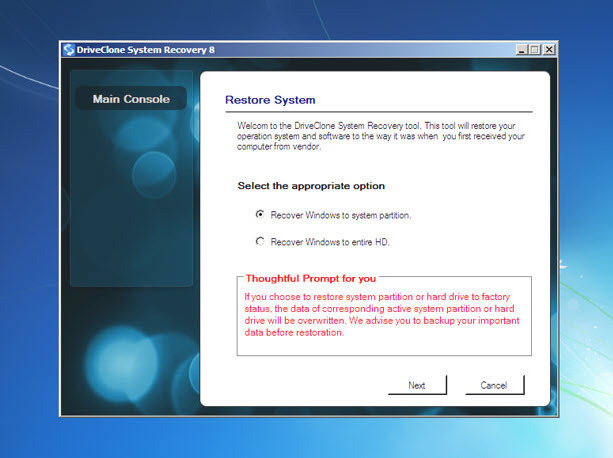 After reboot, hidden recovery partition will created automatically. #4. A complete factory image backup will be stored in the hidden partition by the software. Whenever the PC has problems, you could restore it to perfectly working state using the single hot key button located on your notebook/laptop. Just restart your PC and press the pre known hot key on your system to start recovery. Note: Refer your user’s manual to see the hot key button, probably F10 or F11. Factory state recovery will automatically start. Press Confirm to restore system to the factory state. Note: Partition or Entire HDD restore, whatever option you choose, the existing data will be overwritten. We advise you to backup your important data before finally restoring your system. Conclusion – System builder and computer manufacturers often gone through rough time while fixing their customers PC and invest huge amount of money in providing supports for their customers around the globe. 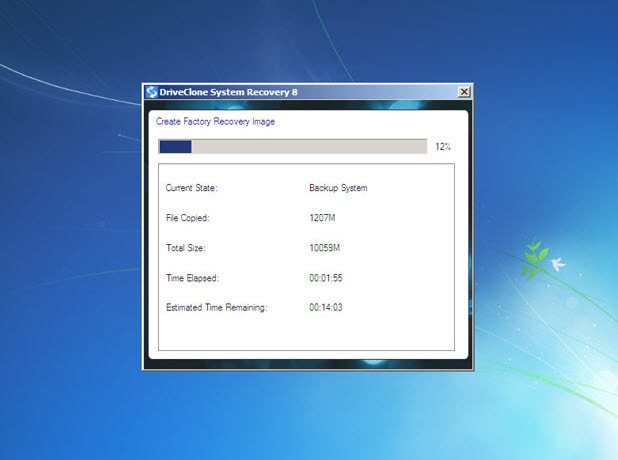 Using Drive Clone PC System Recovery, PC manufacturer can greatly reduce their support cost & PC returns.